Can I have the clothing with my own logo/label 9 Yes, of course you can, and please provide digital file to our email. What is your MOQ (minimum quantity) to have the clothing with my own logo/label 9 We offer minimum order quantity, 300 pcs . During working time, Email will be replied to you within 2 hours OEM & ODM projects are highly We have strong R&D team . whatever you require, we will try our best to make it. oem or odm is available in our we have a strong team to deal with the design and service, which can offer you a best experience. 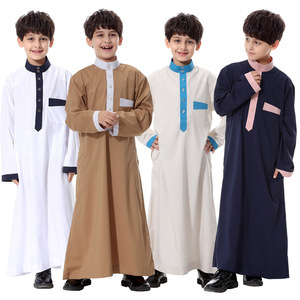 this fashionable saudi abaya wholesale is very popular now with good quality fabric and unique design. we can make the abaya collection according to your size. colors colors like white, purple, yellow, orange, black, grey, brown, pink, cyan, turqoise, red, maroon, green, blue, etc, are all available. place of origin humen town, dongguan city, guangdong province, china(mainland). Normal need 1000 pieces for per design and per color and 4 size. (3)How to confirm the quality with us before start to produce9 a. You can got sample from us,and then we make quality according to that; b.
due to computer monitor different,the color in pictures will be a little different, that we have as far as possible ps the pictures and objects into a similar color. we are specialized in muslim clothing and hijabs .the professional design team and product lines that make we can supply high quality and new products with reasonable price. (b) offer new design for each week. we do full inspection before packing. Product name: Zakiyyah A024 2016 Latest Kaftan Dress Designs from China Popular Long Sleeves Crystal Hemp Muslim Abaya Product number: A024 Color: Green,Pink,Blue,Grey,Mint green Size: M.L.X L. XXL Material: Crystal Hemp MOQ: 240 pcs/3 colors/3sizes Packing way: 1pcs in 1 opp bag, or customer requirement MOQ: 240 pcs/3 colors/3sizes Price: $8.39~11.44 For reference only,when you order please contact our manager! XXL MATERIAL Crystal Hemp MOQ 240 pcs/3 colors/3sizes PACKING 1pcs in 1 opp bag, or customer requirement LEAD TIME After receipt of payment,20-25 work days (FOR REFERENCE ONLY) PAYMENT Paypal,Western union,T/T,MoneyGram Packaging & Shipping Contact us Shantou HotSunZune Garment Co.
2. We can change the measurements according to your requirements, meanwhile, we can provide you color card along with your sample. 3.Offering brand labels production service, you just need to tell us the specification requirements. 3. How about samples9 We do offer samples before making any production so that the production will be in exact compliance of the buyer&rsquo;s expectation. 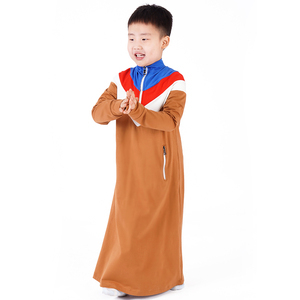 3 YRS Fucheng County Huaxing Garments Co., Ltd.
9 YRS Guangzhou HeyouJ2 Trading Co., Ltd.
Alibaba.com offers 914 children abaya products. About 75% of these are islamic clothing, 4% are other scarves & shawls, and 1% are swimwear & beachwear. 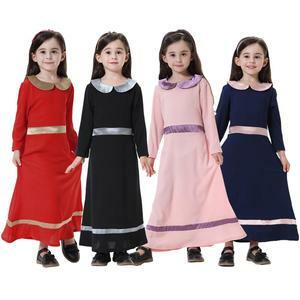 A wide variety of children abaya options are available to you, such as in-stock items, oem service. You can also choose from free samples, paid samples. 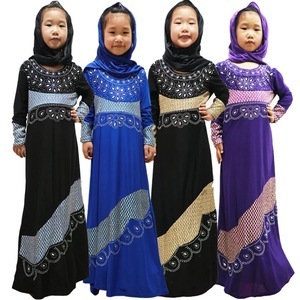 There are 914 children abaya suppliers, mainly located in Asia. The top supplying country is China (Mainland), which supply 100% of children abaya respectively. 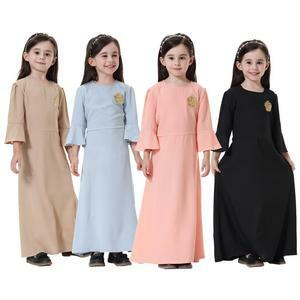 Children abaya products are most popular in North America, Eastern Europe, and Mid East. You can ensure product safety by selecting from certified suppliers, including 45 with Other, 4 with ISO9001, and 4 with BRC certification.